If you don’t have so much of a green thumb, but you do have more of a digital thumb, then this article is for you. When you start gardening, it can be tough to get your footing. It’s pretty difficult to understand the subtle nuances of gardening and really get how to grow great produce. 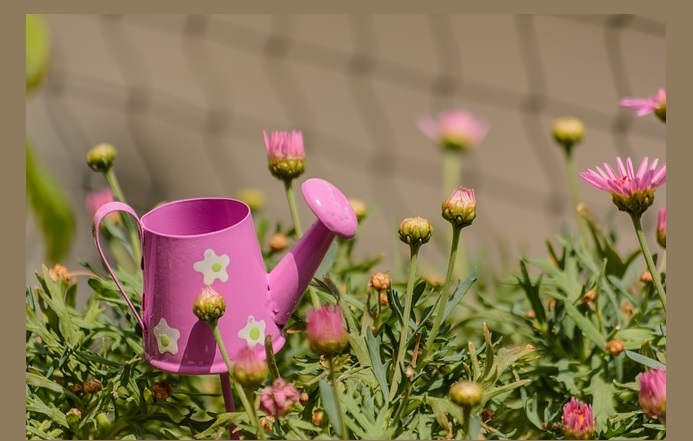 However, with the rise of technology in recent years, there are some great new gadgets and apps you can get a hold of to improve your gardening skills. Keep reading down below to learn some more about these gadgets. If you’re having a bit of trouble planning out your garden plot, then this app is the one for you. This app is going to give you the opportunity to digitally lay out your garden before you even start digging! How handy is that? That means that you won’t be making any mistakes when you actually pick up your gardening tools, like those here at Lawn Mower Lane. This next tool is one that’s pretty DIY and is super fun to come up with. If you have kids, then this is a great way for them to learn some about gardening. It’s an infrared camera that you can use to check on the health of the plants in your garden. Do some research into how to make one and maybe that can be a fun project for this weekend! You can go a bit greener with this next tool. When you charge up with this cordless pole saw, you will be able to trim your trees for an hour or so without having to charge again. How easy does that sound? This is a pretty cool gadget that’s going to be interesting to use in your garden. The VegiBee actually imitates the high-frequency vibrations of a bee’s wings when they’re pollinating your plants. These vibrations actually cause pollen to deposit onto a spoon, which you can use to hand-pollinate other plants and increase your crop yield. Next, we have the Netatmo Weather Station. This app is actually going to check the indoor weather, as well as the outdoor. There’s no other gadget that can do this, so you’re prepared to care for your indoor and outdoor plants like no other. With the Bosch Isio hedge trimmer, it’s going to be a cinch to trim your hedges with plenty of precision. This is a very light-weight tool that can go for an hour with a single charge. That’s plenty of time to trim up those edges and make them look great! When you have this Garden Cam on your side, you’re going to be able to directly see how your plants grow and what critters could be causing them trouble throughout the day. Photos will be snapped at regular intervals throughout the day and night that you can then view later. So, if you’re worried that deer or other animals might be messing with your produce, then this is your way of keeping a check on them. If you want to be completely in sync with the needs of your plant, then you’ve got to get this plant monitor on your side. You can get this wireless sensor that will stay in tuned with your plant’s moisture levels, sunlight levels, and everything else related to its nutrition. And with the help of the smartphone app, you can have this information in your pocket at all times. If you’re just not sure at all where to start with gardening or just want some tips every now and then, you should think about downloading this Gardener’s Handbook App for Android. This app is going to come chock full of tips, tricks, and education that you can use whenever you’re stumped with how to grow your produce. Education is one of the keys to mastering gardening, after all!